Watt are you looking at? Yes, it's Kona's first complete carbon fiber mountain bike. No, we didn't rush into the game, we never do. We're cool, calm and calculated, especially when it comes to carbon. Featuring Kona's finely honed (and subsequently) legendary Kula geometry, highlighted by an integrated headset and new BB30 bottom bracket that's stiff, light and compact, we dress this singletrack knife up with an Easton carbon cockpit and cross-country wheelset, SRAM drivetrain, and Avid Elixir CR brakes. Better looks, better ride quality, and priced to be one of the most attainable carbon XC bikes on the market. 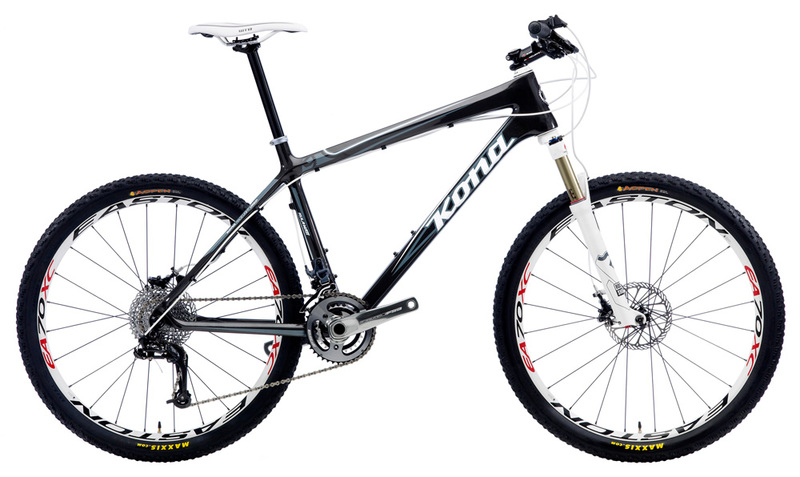 Sizes 16", 17", 18", 19", 20"
New for 2011, Kona introduces two new carbon fiber bicycles, the Kula Watt, a lightning quick hardtail cross-country mountain bike, and the Major Jake, our top-of-the-line cyclocross race bike. Both Kona designed bicycle frames are built at one of the most advanced bicycle manufacturing facilities in the world, Hodaka. In addition to producing cold-forged bicycle and frame components including wheels for Shimano and Easton, Hodaka employs a carbon fiber fabrication process that leads the industry. Combine Kona's race proven geometries with one of the lightest, strongest and ride savvy materials on the planet, in a facility known for its innovation, leadership, and attention to detail, and you have some of the most beautifully riding bicycles on the planet. The Technology: Kona Race Carbon Fiber bicycles use Prepreg technology - specially formulated resin matrix systems reinforced with man-made fibers such as carbon, glass and aramid. When cured, the Prepregs used in Kona frames represent an incredibly solid structural material that is highly durable, temperature resistant, exceptionally stiff, and lightweight. These resin formulations and fiber impregnation technologies are designed in concert with Kona's stringent product design requirements, allowing our bikes to achieve the ultimate balance between stiffness, lightweight, and ride quality. The Material: To create an unprecedented level of toughness, stiffness and good anti-vibration properties, epoxy resins used in the Major Jake and the Kula Watt use a special Nanopowder technology. Nanopowder resin is designed to fill microscopic gaps (see them like "nano" holes between the carbon layers) between the carbon fibers themselves, making the frame more homogenous (the forces generated while riding the bike are running through a more compact structure), lighter, and more comfortable. The result of having limited internal gaps also drastically reduces potential breaking points, increasing the fatigue limit of Kona frames by more than 30% over standard carbon monocoque frames. Molding Process: At the bottom bracket, head tube and seat area, Kona Race Carbon Fiber frames use special internal silicon shells which increase the compression of carbon fibers layered in the mould. 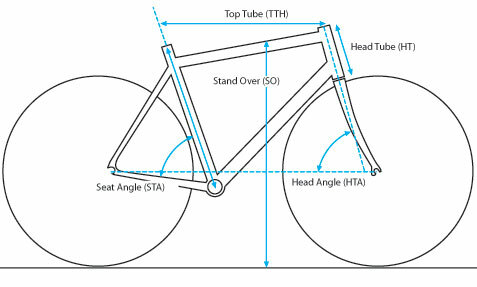 The method prevents the internal formation of wrinkles, another potential breaking point that, when avoided, increases the fatigue resistance of the bike, while at the same time, resulting in a lighter frame.